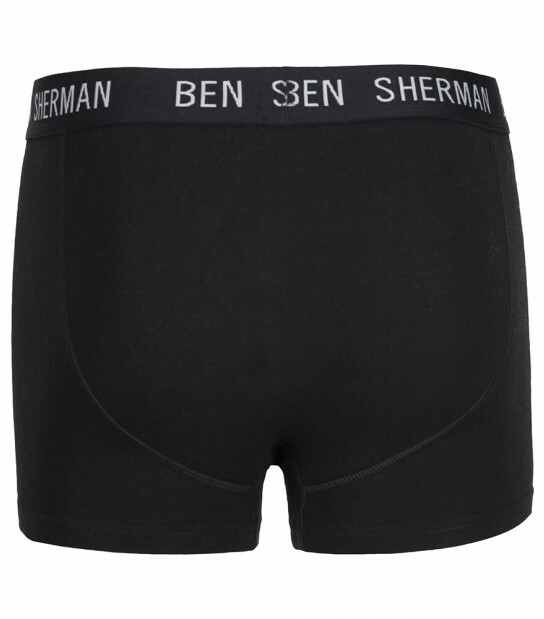 These stylish Wayne boxer trunks from Ben Sherman are the perfect product to update your drawer. Crafted from soft cotton blend fabric, they provide all day comfort. Arriving in a handy 2 pack set including a Black/Grey/White Geo Print pair of boxer trunks with Black branded waistband and a Black pair of boxer trunks with Black branded waistband these are the perfect product for you.